The current Aggies beat a feisty alumni team in five sets, 19-25, 25-22, 27-25, 23-25, 15-10. Among the former NM State greats playing for the alumni team was 2013 WAC Player of the Year Desiree Scott and Aggie all-time kills leader and former All-American Stevi (Adams) Maytubby. The alumni team won the first set, but NM State came back to take three of the final four sets, including the second and third set. Led by the middle bigs, including redshirt freshman Sasha-Lee Thomas and junior Gwen Murphy, the Aggies closed the match with a 15-10 win in the final set. NM State begins regular-season play on the road next week when it travels to Salt Lake City, Utah, to participate in the Utah Tournament Friday and Saturday, Aug.29-30. The Aggies begin the season with a match versus Missouri State on Friday and then play two matches on Saturday, first against Montana State and then versus host Utah. 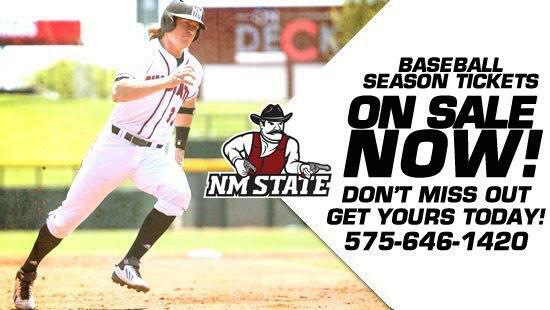 The WAC champions then return home to host their own NM State Tournament Thursday through Saturday, Sept. 4-6. The first home match for NM State will be on Thursday, Sept. 4, versus North Dakota State beginning a 7 p.m. (MT) inside the Pan American Center. Remember season tickets are now on sale for only $50 at the Pan American ticket center or online at www.ticketmaster.com. Kids 12 and under are free for every Aggie volleyball match. For ticket information call the Pan Am ticket office at 575-646-1420.